Students of all ages send out warning signals. Can you identify them? You may be surprised that the classroom data you are already tracking holds significant insights into the early warning signs that can help you identify at-risk students before it's too late. Learn how you can use early warning indicators to support your behavioral RTI, PBIS, or school culture model in order to help students avoid the critical mis-steps that may lead them off track. 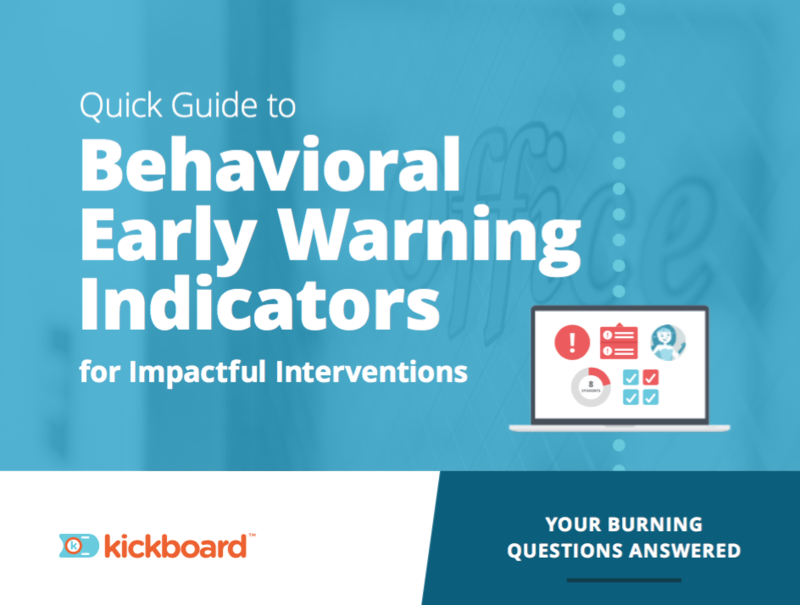 This important research-backed guide will give you best practices for making early warning indicators a daily component of your school and classroom cultures. Learn when and how to use early warning indicators in your schools - from the elementary level to high school - and discover the real results that you may achieve by paying attention to your data. Discover how to use data as a key component of your intervention programs to identify the signs that a student may be veering off track. Learn the 'dos' and 'don'ts' that every leader should follow. Take away three core principles to support your students with early warning indicators. See key research findings that connect early warning indicators to student performance.